Peter DeLorenzi is self-publishing a book with Outskirts Press, and he wants your help deciding on his book cover. Every life has a unique journey; some life paths are brilliantly illuminated by explosions of insight sparked by war, wanderlust, prison, and pain…as well as love, joy, celebration, and delight. 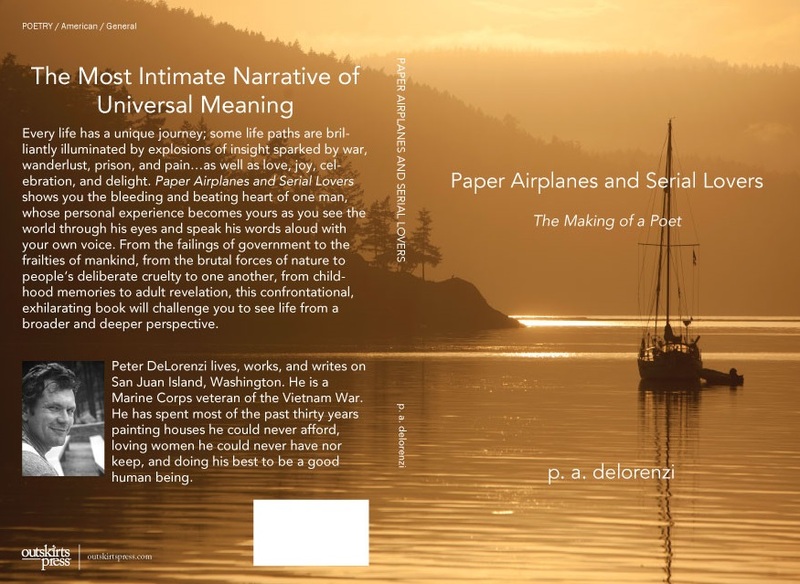 Paper Airplanes and Serial Lovers shows you the bleeding and beating heart of one man, whose personal experience becomes yours as you see the world through his eyes and speak his words aloud with your own voice. From the failings of government to the frailties of mankind, from the brutal forces of nature to people’s deliberate cruelty to one another, from childhood memories to adult revelation, this confrontational, exhilarating book will challenge you to see life from a broader and deeper perspective. 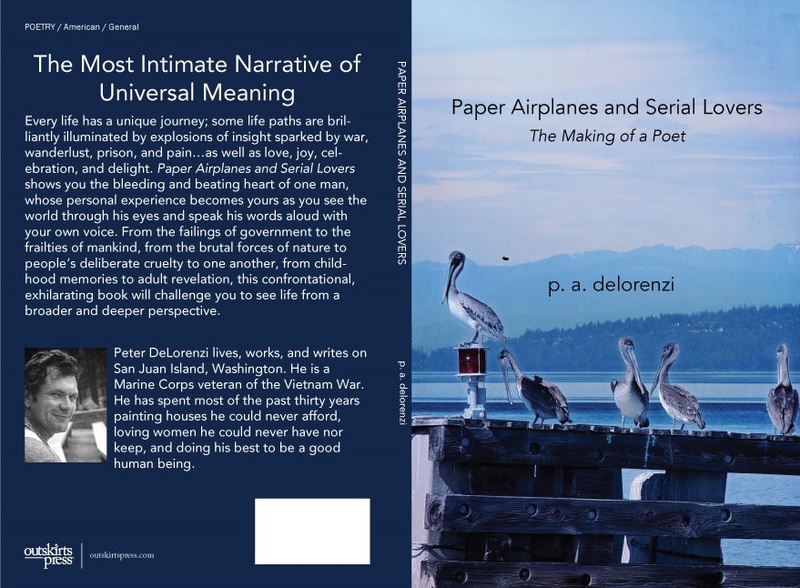 Peter DeLorenzi lives, works, and writes on San Juan Island, Washington. He is a Marine Corps veteran of the Vietnam War. He has spent most of the past thirty years painting houses he could never afford, loving women he could never have nor keep, and doing his best to be a good human being. Please take a look at two possible covers below and then vote on the choice you recommend for Peter. I like the sailboat cover. Next Next post: April is National Poetry Month… Are You Ready?